A portion of an overhead bridge on Lahore’s Canal Road collapsed on Monday after a trailer collided with it. 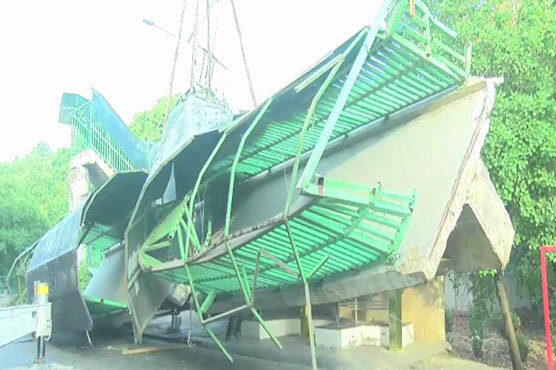 The vehicle was carrying a heavy generator of Orange Line Train project that suffered damages after the debris of the overhead bridge fell on it. A crane from the project was sought to transfer the machinery that was being taken from Thokar Niaz Baig to Mugalpura. Following the accident, the Canal Road was closed for one-way traffic which severely affected the movement of vehicles.